There is to my knowledge never been incidents where someone is hurt because of an elbow shine, and I have called scientific evidence of damage caused by a padded bandage,” says Steen Bo Kalms, who since 1998 has served as elbow and shoulder specialist and been the national team’s regular doctor since 2006. – An elbow is a hinge joint, and an injury in this type of context requires a hinged brace, else you risk hyperextension. This type of track is allowed around the knee joint, so I am surprised that it is not allowed around the elbow joint. 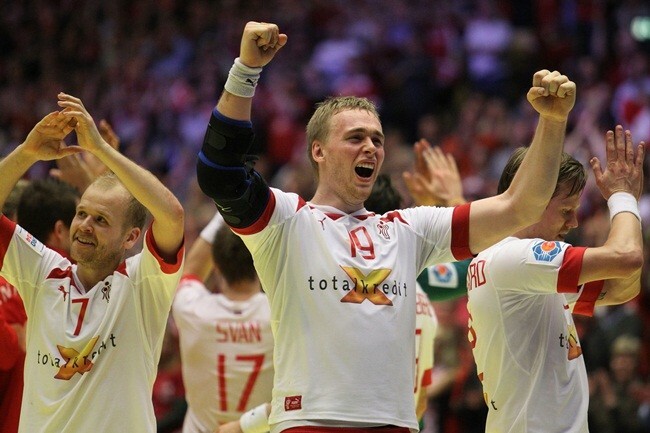 While health staff has tried to find practical solutions, the Danish Handball Federation last month tried to influence IHF’s rules on the subject, says Secretary General, Morten Stig Christensen. For example, we in the process prompted IHF to let it be a medical decision, so it was not judges or delegates without a medical background who carried out the assessment. They succeeded, and then they asked us to submit brace and a medical grounds, which we have done, but unfortunately it has not changed their views on the matter, “said the Danish Secretary-General. 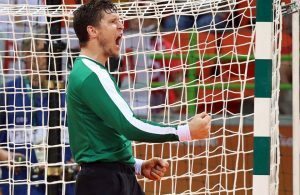 FRANCE 2017 – DAY 4: Seven matches in all four groups! ← Previous Story FRANCE 2017 – DAY 4: Seven matches in all four groups!